Dylan is a man of many moods. If you are looking for Dylan the folk singer, Dylan the prophet, Dylan the protestor, or the electric Dylan of Highway 61 revisited, you may not find this album to your taste. Instead, we are transported to the fifties, Frank Sinatra and the pensive small hours of the morning. 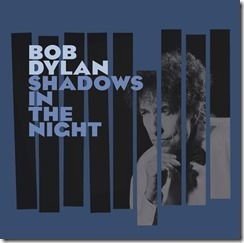 Dylan is soulful and languid, singing standards from another era, songs of autumn, songs of night. The music is melodic, slow and recessed; the mood is reflective, the voice is tour-weary but tuneful (for Dylan) and articulate; Dylan has taken a lot of care with this album, nothing is thrown away, nothing breaks the mood, and the lyrics are full of meaning; even though others wrote them down, he makes them his own. These are the songs of a man who has been everywhere, done everything, and has nothing left to prove. It feels like he is singing for himself and allowing us the privilege of listening in. Sometimes he is confessional; “I know I have sinned, I go seeking shelter and I cry in the wind,” he sings in Stay with Me; and “Show me that river, take me across and wash all my troubles away” in a magnificent performance of Lucky old Sun at the close. These are songs of yearning; “if my one wish comes true, my empty arms will be filled with you” he croons in Full Moon and Empty Arms. As a Dylan fan of many years, and one lucky enough to have seen him perform on many occasions, I love the album. It is different but not different; as ever, he follows his artistic instinct, never mind what others think. “Let people wonder, let ‘em laugh, let ‘em frown …. don’t you remember I was always your clown, why try to change me now?” he sings. Thank you Bob for giving us an enchanted evening.